Before the United States was, in fact, the United States, New York was the largest city in the country. People from all over the world have congregated in these 5 boroughs for centuries, leaving the city that never sleeps to be known as the culture capital of the world. 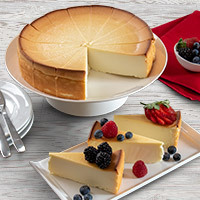 So, it's no surprise that a real New York-style cheesecake is considered by many to be simply the best. 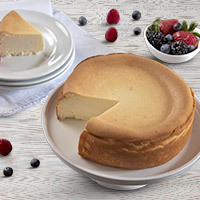 In keeping with tradition, we've made our New York Cheesecake so smooth, rich, and deliciously dense, you'd think that we've been making them downtown for years.